As part of Rutgers School of Business Mentor program, students can interact with business leaders from industries like Information Technology and Global Communications, as a comprehensive approach to their education and development as future professionals. Antonio T. Ruggieri, Velstar’s Managing Partner, participates in this program in his fourth year of being a Business Mentor to undergraduate and graduates of Rutgers, The State University of New Jersey. In the Mentorship program, Ruggieri provides insight on the Telecommunications industry, focusing on managerial issues related to the management of data communications and networking technologies and discussing current technology events and practical considerations for socioeconomic impact. Rutgers Business School-Newark and New Brunswick is an integral part of one of the nation’s oldest, largest, and most distinguished institutions of higher learning: Rutgers, The State University of New Jersey. Founded in 1929, Rutgers Business School has been accredited since 1941 by AACSB International — the Association to Advan ce Collegiate Schools of Business — a distinction that represents the hallmark of excellence in management education. 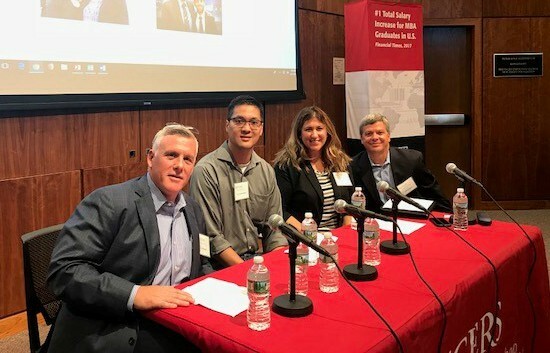 Today, Rutgers Business School is educating more than 8,000 undergraduate and graduate students at two main campuses in New Jersey as well as six satellite locations in New Jersey, China, and Singapore. Steeped in academic excellence, with a distinguished faculty and a corps of over 36,000 successful alumni. Since 2008 Velstar International has specialized in sourcing ‘Best in Class’ phone systems, Internet connectivity, wireless/mobile, IT, Cloud and technology solutions to meet the operational needs of its clients. By leveraging a global supplier community of 90+ companies, and Its innovative online platform; the Velstar Marketplace™, Velstar can provide real time market based pricing and useful information to building owners, managers, real estate professionals and office tenants that seek best-in-class amenities. Velstar’s unbiased portfolio of resources drives optimal service performance, ideal end-user experiences and financial flexibility; empowering businesses to make good decisions for their customers, employees, and shareholders. For additional information please visit: www.velstar.com or call 855-474-1700.